An old Marbelite pool suffering from frost damage was in desperate need of repair. 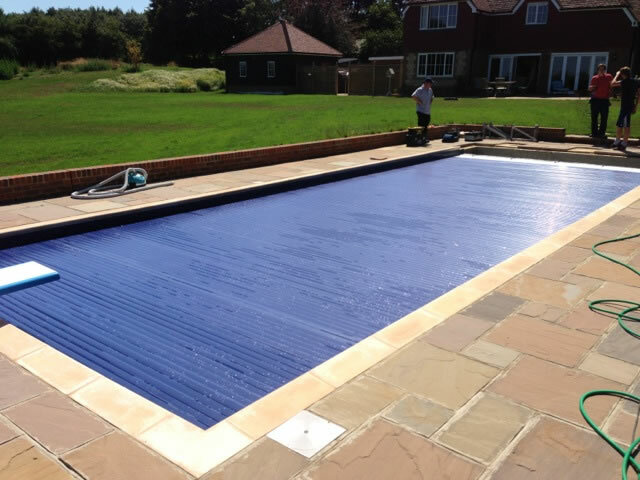 Our job, to remove and replace the tile band and then fully mosaic the complete pool. 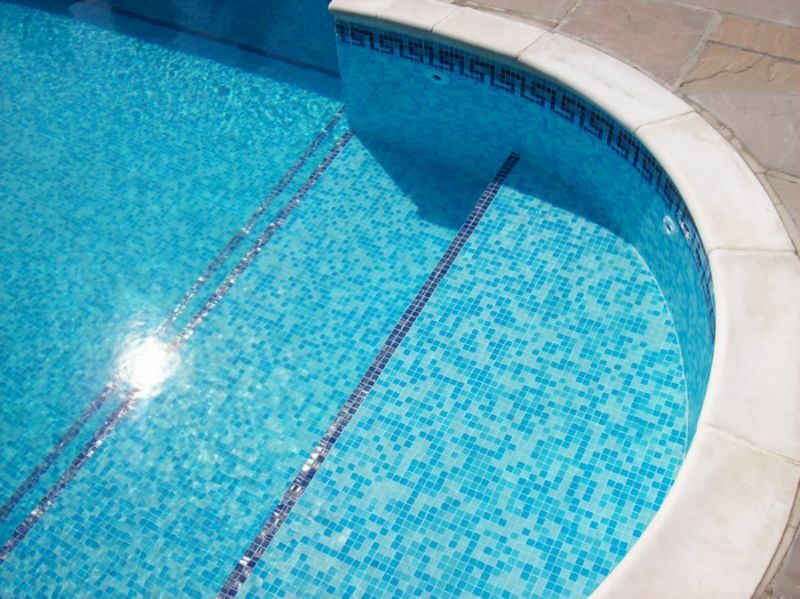 New Indian sandstone surround was laid by us, finishing off a beautiful swimming pool. Our Clients wanted a combined swimming pool with spa tub constructed to their exact requirements. After looking at the plans some small changes were made to save them money and have a more efficient system. UK Swimming Pools LTD can add those always wanted access steps that will make it easier for young and elderly swimmers alike. We can construct any shape, size and number of steps that can be mosaiced or rendered. Also Air Injection points can be added anywhere you desire.